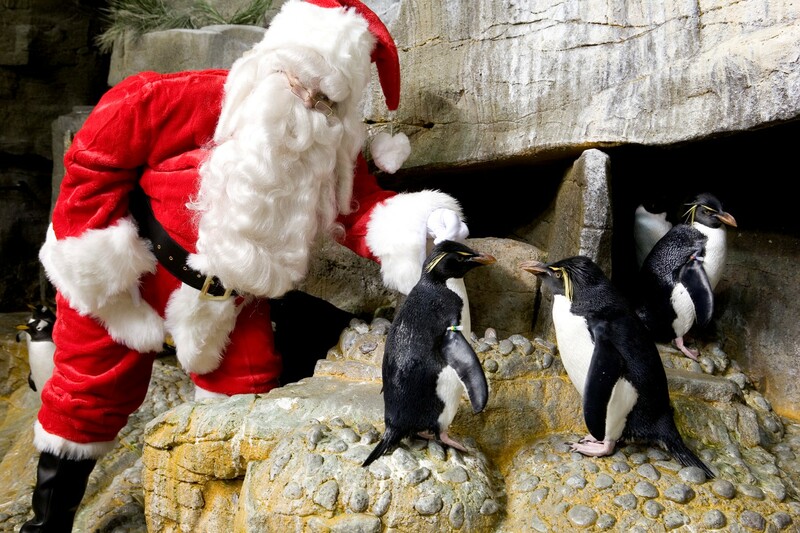 One of our favorite holiday traditions by far is heading over to visit our marine animal friends at the Shedd Aquarium for A Holiday Fantasea. This truly spectacular performance stars the dolphins, beluga whales, sea lions penguins and other adorable marine animals of the Shedd’s magnificent Abbott Oceanarium. Festive (human!) ballerinas twirl before you, penguins waddle to a holiday beat, and dolphins leap to the trumpeting carols. This is a show for the entire family; even my toddler daughter, just a little over one year old last year, was captivated by the show. Be on the lookout for the man in red – Santa Claus! – as he makes his special appearance in his canoe! Another fun tradition being offered at the Shedd Aquarium this year: Shedd Holiday Breakfasts. On Saturdays starting Nov. 26 (Dec. 10, 17 and 24, too), treat your family to a special holiday experience where after a full breakfast, it’s “All aboard!” for a private viewing of the 15-minute, multi-sensory The Polar Express 4-D, followed by a drawing for special prizes. Santa will be at this breakfast party – snap your picture with him and you’ll get a special treat! Best of all, the holiday breakfast also includes a Total Experience Pass, a Polar Express bell, photo with Santa and reserved seating for A Holiday Fantasea. Tickets are $44.95 for adults and $34.95 for children (ages 3-11). This entry was posted in Family and tagged holiday fun in Chicago, Shedd Aquarium. Bookmark the permalink.